Size certainly isn’t an issue with The Brewery London and neither is the layout. An open space which gives flexibility to all suppliers to create whatever your heart desires. 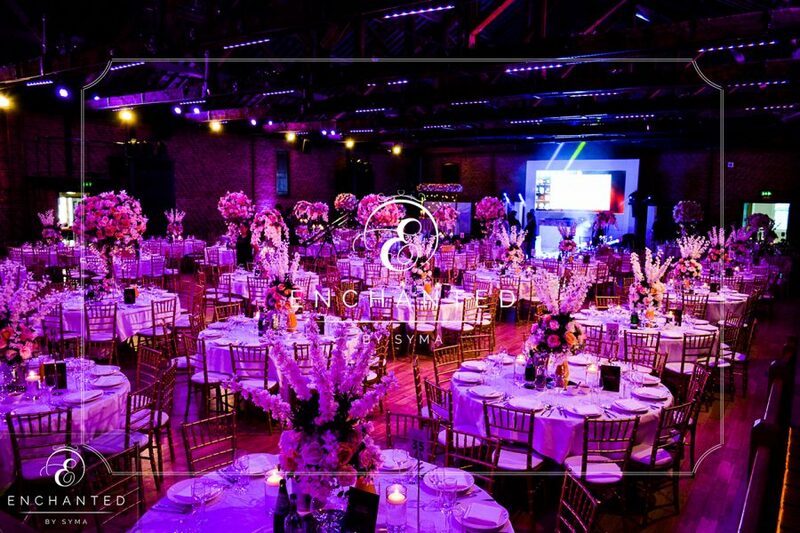 With an impressive capacity of 1,000 people this is one of London’s finest venues which is extremely flexible with events. 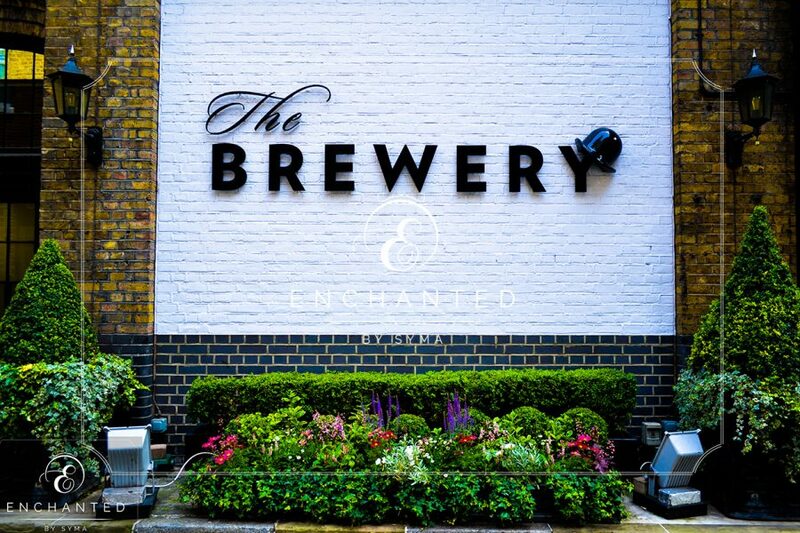 With 500 guests for the wedding of Gurminder and Jessie, this seemed like the perfect venue to create their magical dream. 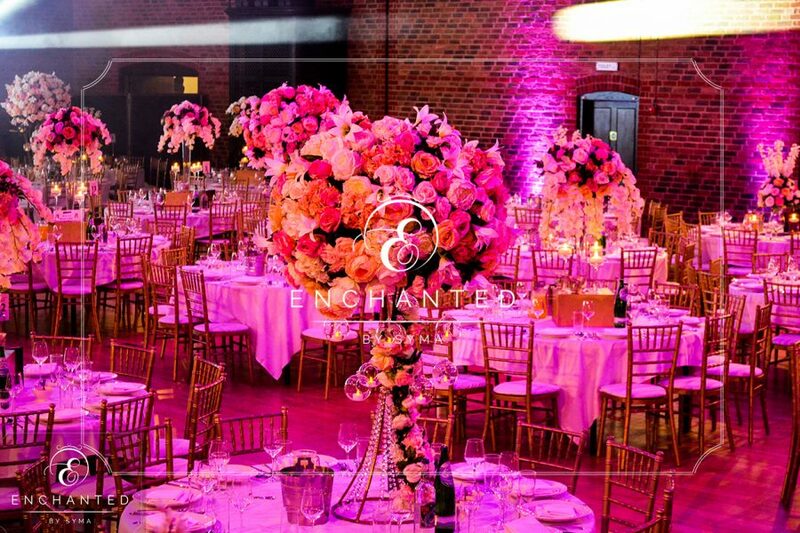 When approached by the beautiful couple, both Gurminder and Jessie had a fair idea of what they were looking for, with one consultation their heart was set that Enchanted by Syma would be able to create what they were looking for. 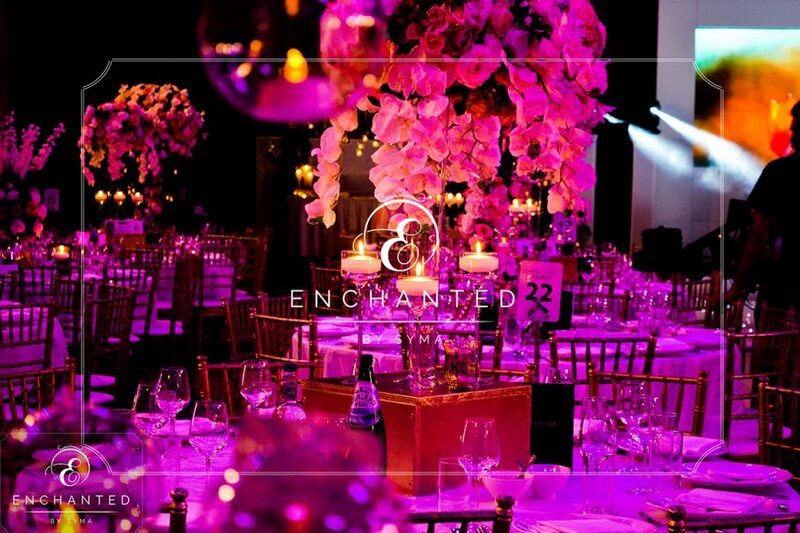 Enchanted by Syma had a huge task to create over 45 tables consisting of a floral extravaganza. No doubt the team were under pressure to produce 3 different styles as they do, but this time using stylish and modern floral pieces, complimenting one another with finishing touches. 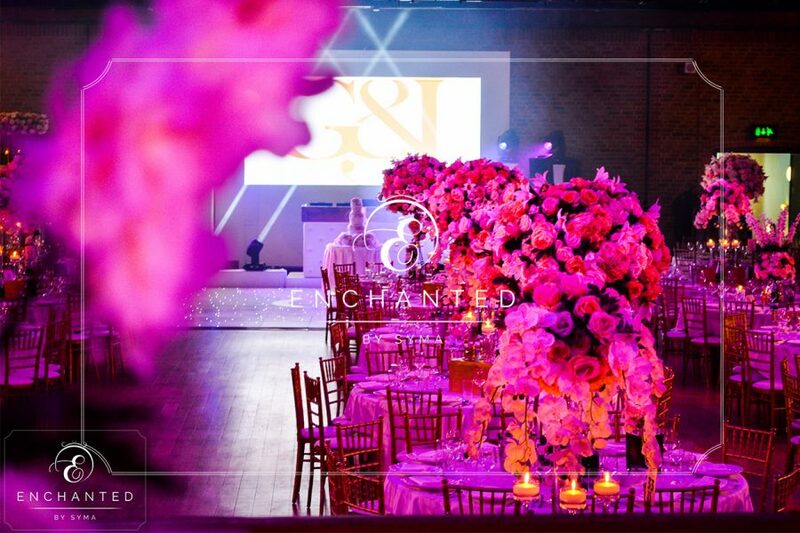 Each table had a complete finish with ornate and glass tea light holders as well as vases and display mirrored boxes. For the top table we wanted to create another bespoke look so showcased our stunning overhead gold mirror frame, with pretty floral work and completed with hanging crystals and bauble tea lights. The endless time and effort behind the scenes was phenomenal and working with some of the most amazing companies in the industry made our job that much easier. 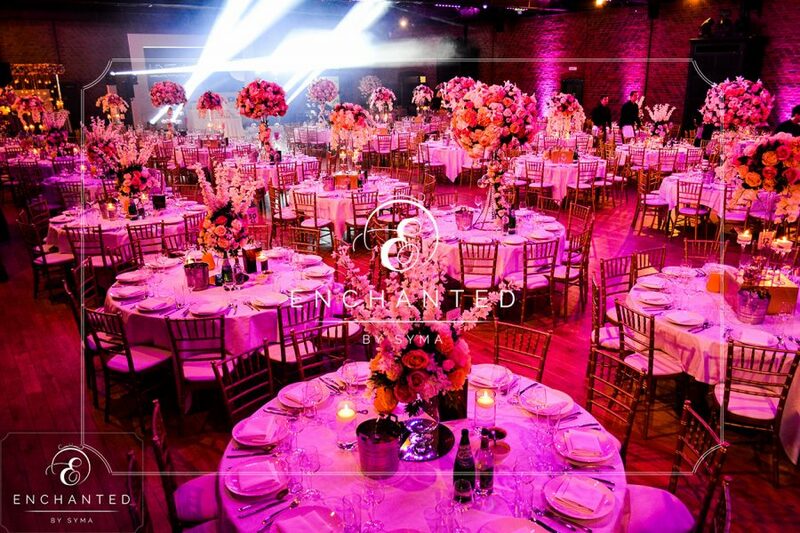 Calibar didn’t fail to impress us with their creative production and lighting, assisted by dance deco floor who lit up the floor, Asian wedding cakes produced yet another elegant cake to compliment the decor and Just Premier, with their fine cuisine and Sweet Wishes hire candy cart had everyone well sweetened. Finally, we were thrilled to work with the Zenith cinematography team again who are true professionals. 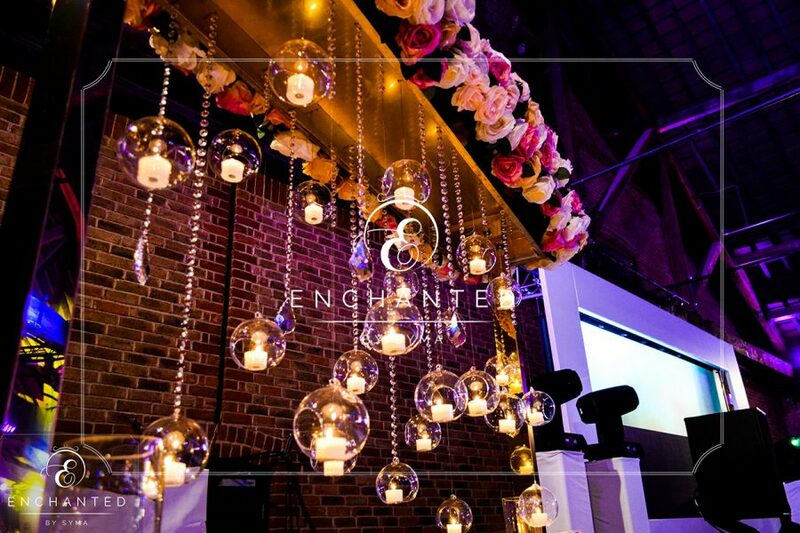 Special thanks to Paz Tailor Photography who came in last minute to take some stunning shots for Enchanted by Syma. 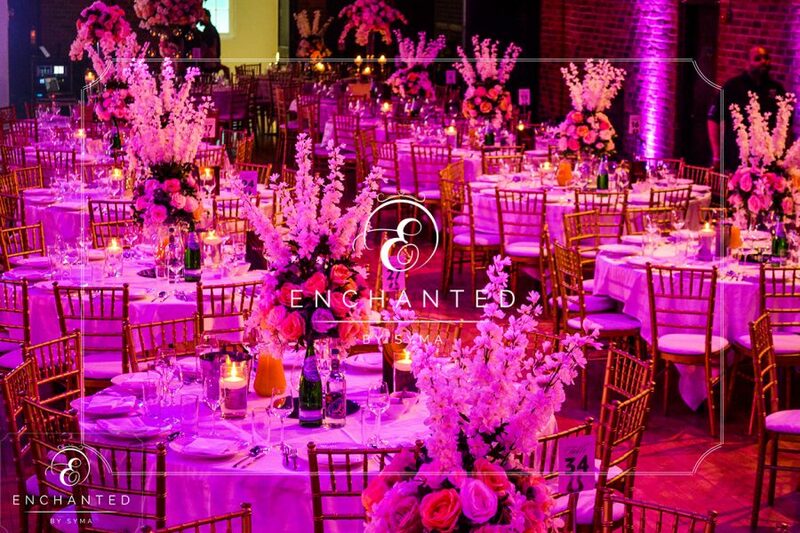 The end result was breath taking and another great event for Enchanted by Syma, we wish our lovely bride and groom all the best for the future.